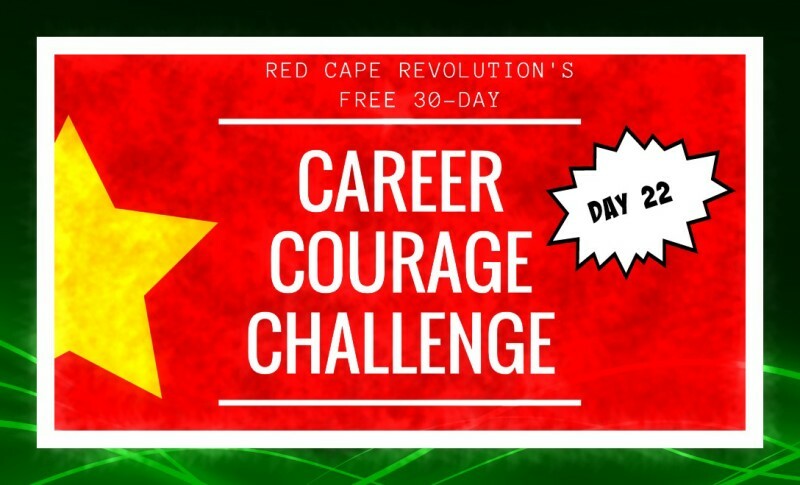 You’ve arrived at Day 22 of our Career Courage Challenge. The month is moving by, and your courage is growing by the day! Tell us how you’re doing in email or in the Comments at the end of this article, or on Facebook and LinkedIn, too. I’ve been taking the challenges along with you–read my notes in each day’s Comments. On Day 15, you started to get clear on what you want career courage for. Remember that thing now. So what’s getting in the way? Chances are, it’s just fear. For today’s challenge, let’s meet your career fear. Say howdy. Shake its hand. Give it a name. Call it for what it is. Don’t make excuses or apologies. Don’t think less of yourself because you have this fear, whatever it may be. Getting clear on the fear, no matter how silly or uncomfortable it feels, will help you recognize it so you can put it aside and move forward, faster. While tackling this challenge, I had one of those “did I really ask for this?” moments. And yes, I guess I did. If I had to name my career fear, it’d be More Than I Can Handle. I’ve discovered I’m afraid of taking on too much, or wanting too much, and losing my ability to manage it all with grace and ease. But I don’t want the fear of More Than I Can Handle to get in my way, especially since I always want the universe and the great companies and people I know I can serve to be inviting me to do more, take on more, be more. So let’s put you in your place, MTICH (which almost sounds like a real name, right?). What’s the name of YOUR career fear?